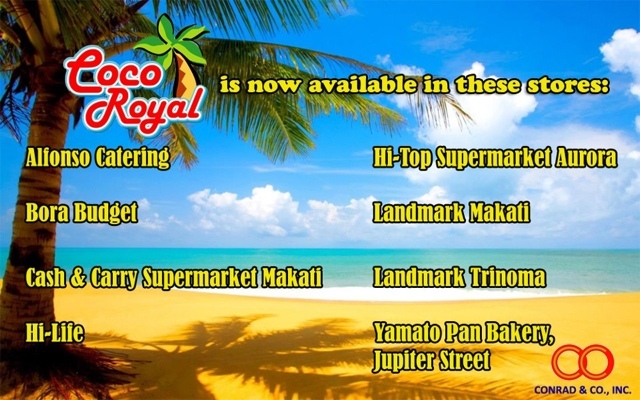 THE PICKIEST EATER IN THE WORLD: COCO ROYAL NOW IN THE PHILIPPINES! Coco Royal, brings to the Philippines six different variants for us to choose from, all with its own distinct properties, flavors and textures, making the tasting each flavor a unique adventure on its own! 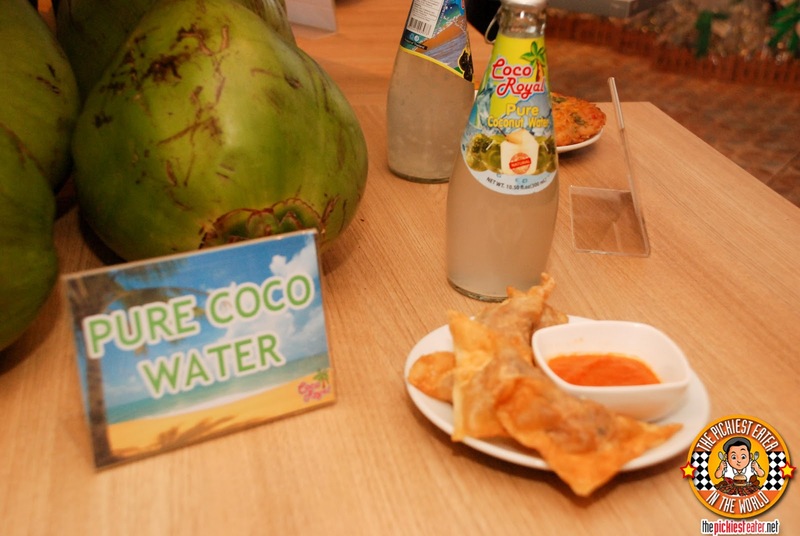 The six variants are Pure Coconut Water, Coco Water with Aloe Vera, Coconut Water with Water Chestnut, Basil Seed with Honey, Mango Juice, and Pineapple Juice. I had first gotten a glimpse of Coco Royal during my dinner at Mitsuyado Sei-men, where I fell in lust with the Pineapple Juice, and Rina with the Basil seed and Honey. 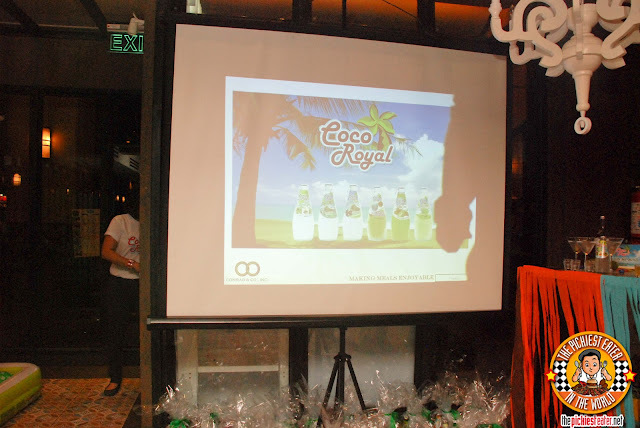 Last month, I attended the Launch of Coco Royal, where we were educated on the healthy properties of its main components. If you think the launch was a snoozefest, you couldn't be more wrong. The People at Conrad and Co., the distributor of Coco Royal, made sure that hthis would be a night to remember. They featured the products three different ways: The first as a part of a cocktail, the second way showed us how it would be best paired with a specific appetizer of Namnam, (our venue for the evening) and finally, how it can be used to concoct an amazing dessert! If you follow my blog, you probably know that I don't drink, but with the way my friends were knocking back their drinks, you'd think the bartender forgot to add the alcohol in the drinks (You know i'm talking about you Dude4Food) and it was all just pure juice (I assure you it wasn't). Coco Royal has three types of Coconut water: Pure Coconut, Coco Water with Aloe Vera, and COco Water with Water Chestnut. Ironically, these are the my least favorite of the variants, but at the same time, its my father-in-law's favorite. 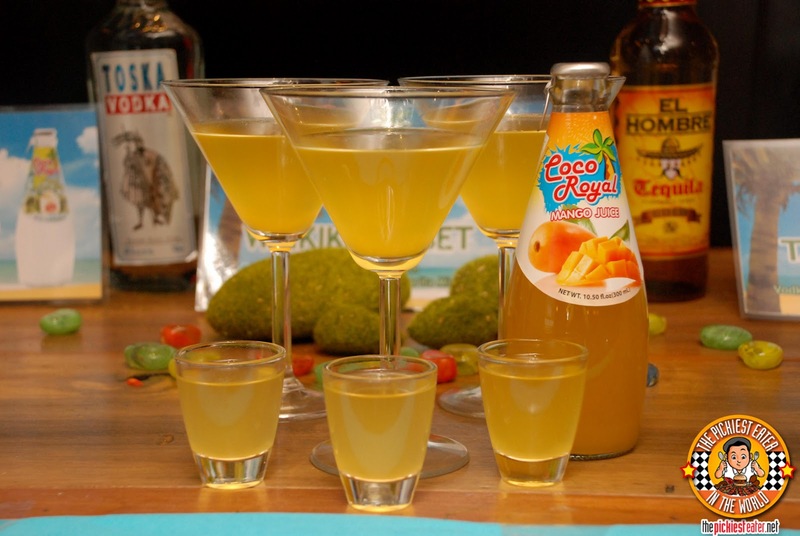 As a cocktail, the Coconut Water worked best when added with Rhum and Triple Sec, making a little treat called "Maui On My Mind". The Coco Royal Mango was mixed with Tequila, triple sec and Margarita mix, and was dubbed the "Waikiki Sunset". 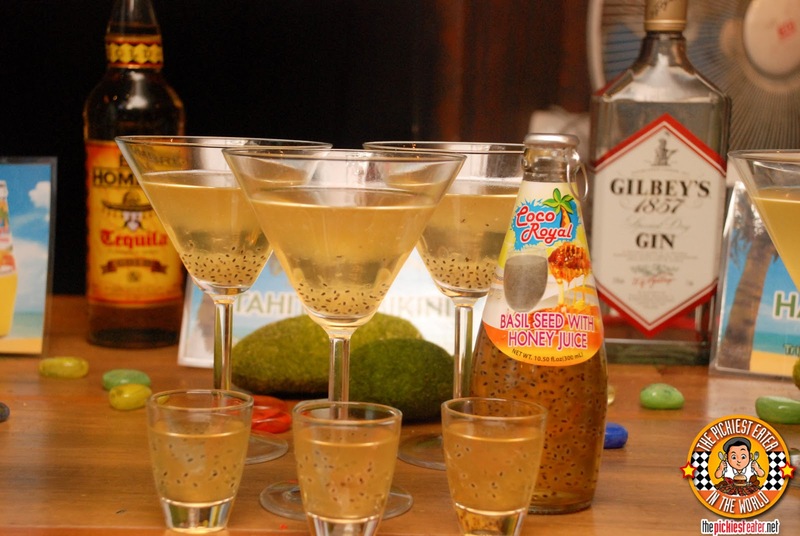 For me, the cocktail with the best name had to be the "Tahitian Bikini", which featured the Coco Royal Basil Seed with Honey, mixed with Vodka, triple sec, sweet and sour mix. Ummm... You're going to have to excuse my picture of the "Hawaii High-O". Rina wasn't with me so I kinda messed it up. Nonetheless, this cocktail was a mix of my fave Coco Royal Pineapple, triple sec and sweet and sour mix. Next, we were shown suggestions what appetizer would best compliment your specific drink. Instead of a "Wine Pairing", this was a "Juice Pairing" so to speak. 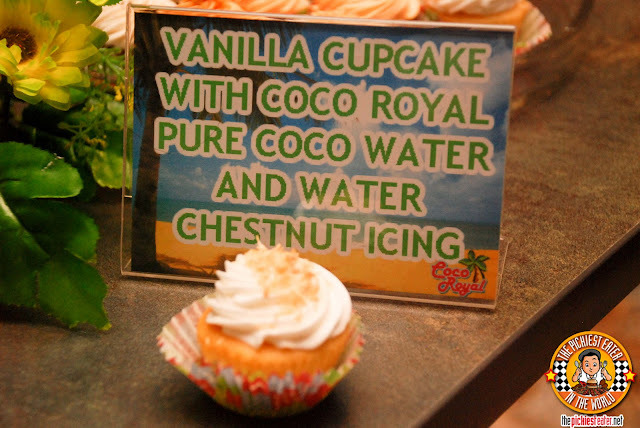 It was suggested that the Pure Coconut water would go best with Namnam's Pinsec Frito. The Pinsec, especially when dipped with the sweet chili sauce, offers a burst of meaty flavor, making the subtle taste of the coco water the ideal palate cleanser. 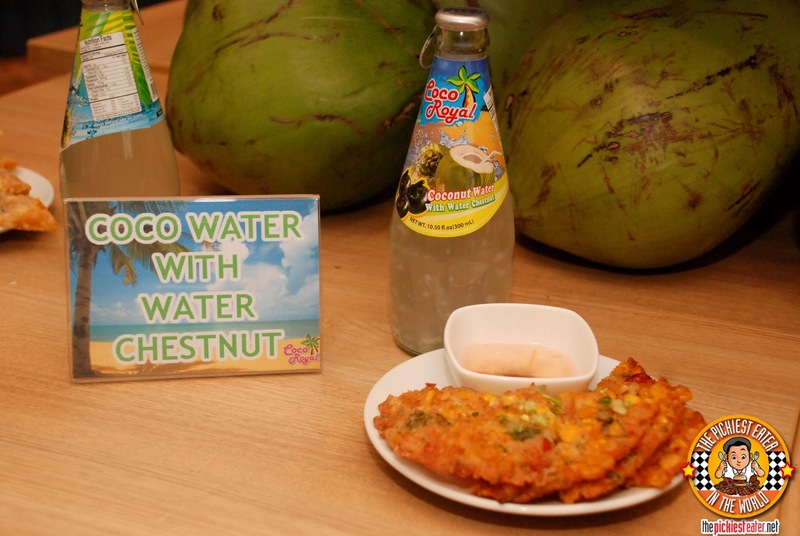 The Corn Ukoy was paired with the Coco Water with Water Chestnut. I don't usually eat the original incarnation of Ukoy, but I enjoyed Namnam's version which had a mild spiciness to it and it matched well with the Water Chestnut infused coco water. Again, sorry for the picture.. There's a reason I always bring Rina with Me during events!! 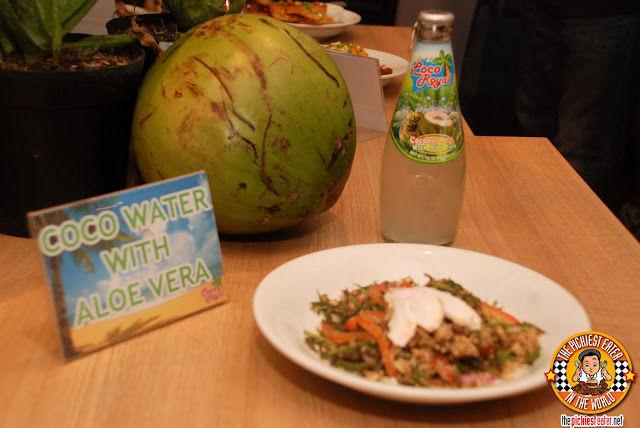 The smoothness of Coco Royal's Coco Water with Aloe Very was paired with Namnam's Ensaladang Pako which was Pako, salted egg, tomatoes and tinapa flakes, and their house vinaigrette. Wasn't sure what to expect when they said they'd be bringing out the "Batil Patung", to be paired with the Coco Royal Basil Seed & Honey. But I was pleasantly surprised to find out that it was actually a noodle dish with a fried egg on top. With the exception of the bits of liver, I could have honestly have finished the plate myself. 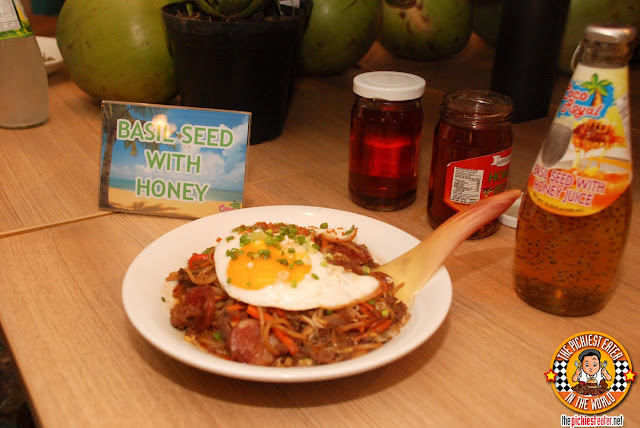 The Basil seed with Honey really was a good compliment to the harmony of flavors in the noodle dish. As I mentioned earlier, the Basil Seed with Honey is Rina's favorite. The Basil in question is different from the Basil that is used to make Pesto. This is actually from a plant called "Tulsi" or "Holy Basil", which contains hundreds of beneficial compounds known as "Phyto-Chemicals", which has anti-oxidant, antibacterial, antiviral, and immunity enhancing properties. And it tastes delicious, to boot! The Coco Royal Mango Juice, which Baby Rain is addicted to, was paired with the Baby Squid in Olive Oil & Garlic. I don't eat squid (Picky Eater, Sorry), but my companions seemed to enjoy it. Here's a video from Rina's Vine Account (Follow us if you haven't yet!) of Baby Rain Chugging down her Mango Juice hehe. 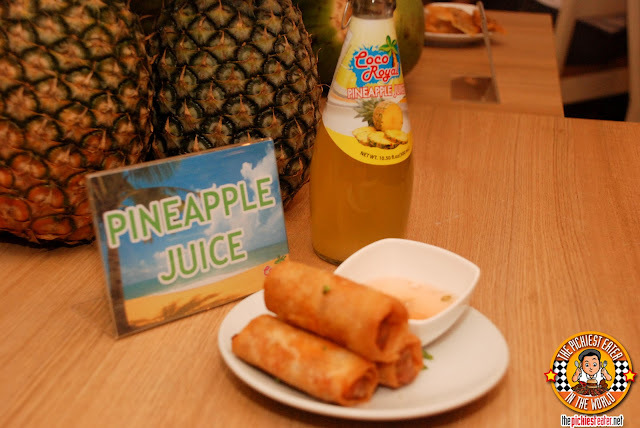 I don't know if it was by coincidence that my favorite Coco Royal Drink, the Pineapple Juice, was paired with what became my favorite appetizer, the Chorizo and Kesong Puti Spring Roll. I couldn't get enough of these babies. The Chorizo had a touch of acid in it, that was tempered by the quesong puti.. 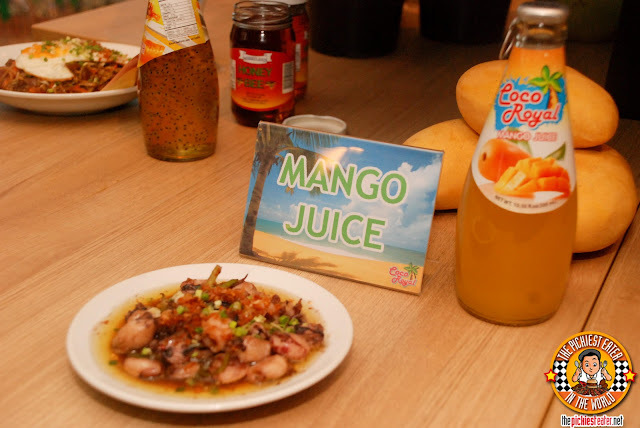 Which went perfectly with the Pineapple juice, because the acid of the pineapple was stifled by the sweetness, without going overboard. Given its fruity base of flavor, it's a no brainer that the Coco Royal juices can also be used for desserts! 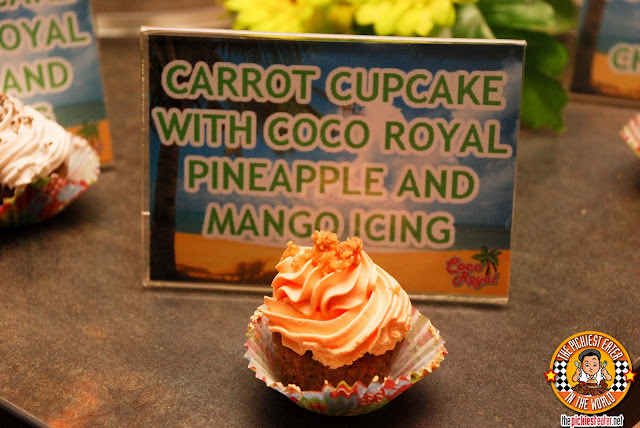 Infusing the juice into the icing base, allowed the pastry chef to come up with a richer topping for cupcakes, whose flavor just pops at your taste buds! It was a wonderful way to end the meal! 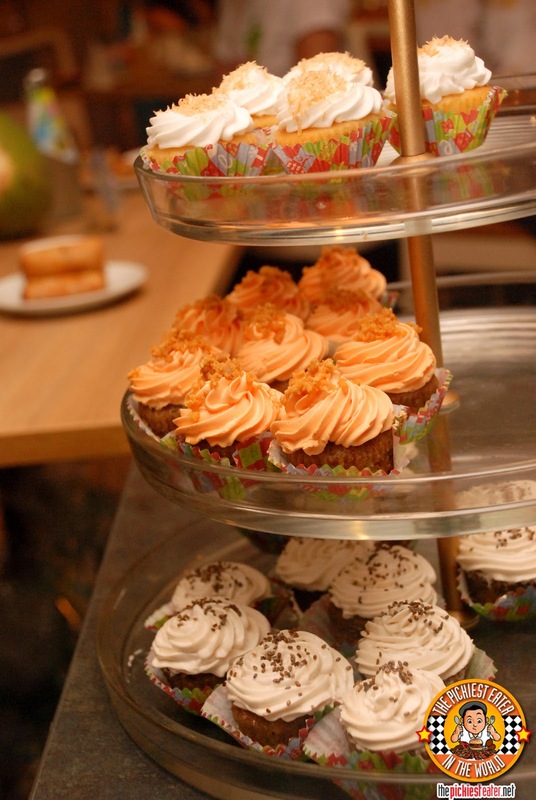 Which of the three cupcakes were my favorite? Honestly? ALL OF THE ABOVE!! 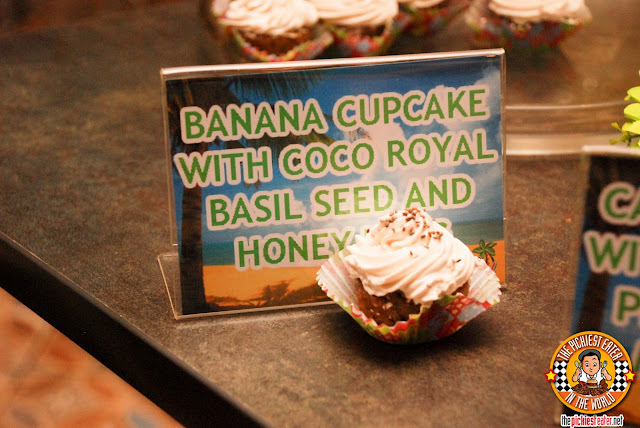 Try all the Coco Royal Flavors and let me know your favorite! 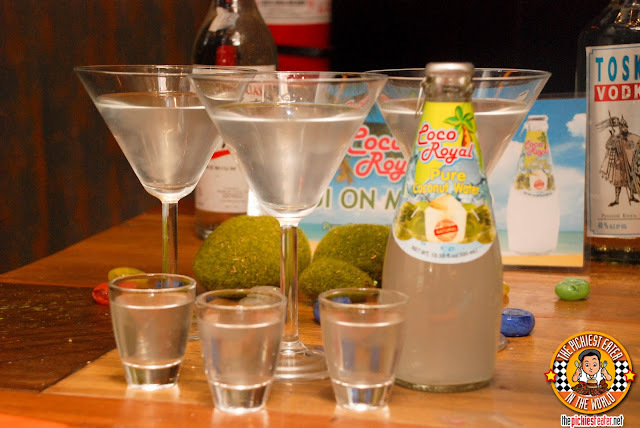 CLICK HERE FOR A CHANCE TO WIN A GIFT PACK FROM COCO ROYAL! Careful whawt you say Michy.. You might hurt Dude4Food's feelings. He takes pride in being able to drink for THREE people.